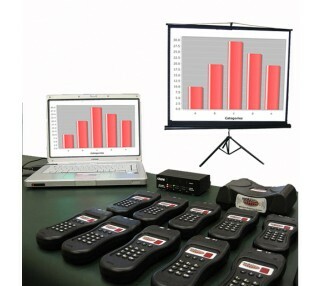 Audience Response Systems (ARS) greatly increase the effective of your meeting with immediate audience feedback via wireless handheld devices. 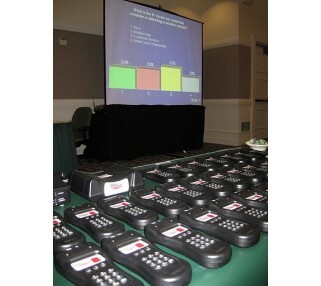 Increase the effectiveness of your meeting by renting a wireless audience response voting system (ARS) from Avista and easily integrate it into any presentation. Immediate, quantifiable audience feedback has numerous applications, including: market research, clinical rater testing, strategic planning, product knowledge testing, classroom learning, jeopardy style game show group activity, and employee or customer surveys. Responses can be anonymous or tracked to individual participant. Avista offers full service ARS support including question preparation, ARS technician operation and post meeting summary. Our audience response polling service is affordable and worry free. 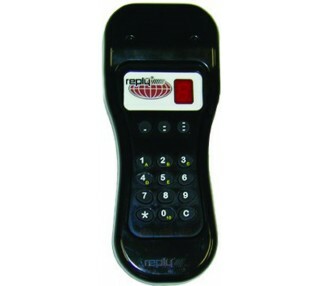 This audience response voting system is designed to connect into your projector or display for audience members to see the results. If you don't have a projector or display, see our Projection Package Rentals, Projector rentals, Screen rentals and Display rentals. Whether this is your first experience using an audience response polling system or you are an experienced veteran, Avista will support you the entire way. From question preparation, equipment selection, operation and results reporting. Call us to quote you for any size meeting with up to 1000 participants.